The EFL Cup, Carabao Cup through sponsorship or the League Cup as it is colloquially known, is open to all professional English division football teams (92 in total) and consists of seven knockout rounds held between August and February. Most Premier League clubs enter at the second round stage with those in European competition coming in from the third round onwards. 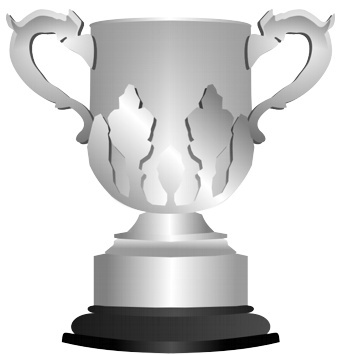 The League Cup, founded in 1960, is often disregarded as a second tier trophy by many. You just watch the final however and you will see a packed Wembley Stadium with delighted players and fans from the winning team and disappointed ones for the losing team. If the cup didn’t matter that much this would not be the case and for many clubs and supporters winning this competition may be the only hope of silverware for their team. The League Cup is Europe’s most watched ‘second-string’ football competition and one of the only ones to offer a European place to the winners. The bookies know this too and therefore will provide all sorts of money back, free bet, insurance and cash-back offers during the tournament and especially for the later rounds. On this page we feature all of the latest and best EFL Cup betting offer to help you add some value to your wagers. Further down find information on schedules, fixtures, format, history and more. A lot of betting sites now know that there is little reason for you to stay and bet with them in such a competitive market place. Therefore many now run points schemes, free bet clubs, free cash prediction games and other features to help attract loyal customers. Most of these deals can be used in combination with other offers and give you enhanced rewards for betting as you normally would. 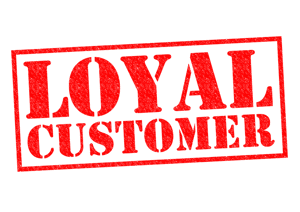 On our loyalty page you can find details about the best bookies for this and the best offers, why not get extra rewards if you place several wagers with the same company? By far the most common bet on the EFL Cup, especially the early rounds, is the accumulator. With many strong favourites however we often tend to place multiples with more legs than usual and therefore you might as well get added rewards for doing so. Accumulator bonuses give you enhanced payouts (usually in cash) proportional to the number of selections, whereas acca insurance allows you to get your stake back (as a free bet) if all of your selections come in but one lets you down. There are also multiple free bet clubs available that give added value to those that place several combo bets. 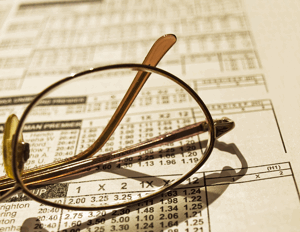 You can find all acca offers on our dedicated page by clicking below. Though many supporters of top-flight clubs might not realise it, the EFL Cup actually takes place over seven rounds. The reason they might not know is that the tournament is seeded, meaning that sides form the upper reaches of the Football League don’t enter it until it’s already well under way. In the past the competition has involved two legs from the start, but that has now changed and the two-legged nature of the tournament only applies at the semi-final stage. The EFL Cup is open for all ninety-two members of the top four divisions in England, which comprises the Premier League and the three divisions of the English Football League. If the system of giving byes to teams that are competing in Europe causes an odd number, such as only four sides qualifying for the Champions League and three making it into the Europa League, then a bye can be issued to a side in order for the numbers to be correct. Though replays were used to decide ties that were level until 1981, since then a penalty shootout has been used after extra-time if needed. The only exception to this was the semi-finals, which didn’t see penalties and extra-time introduced until 1986. 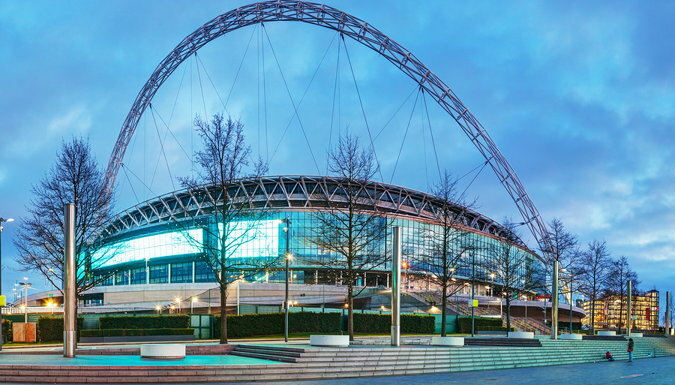 Since 1967 the final of the tournament has been played at Wembley, having taken place at random neutral venues before then. It was hosted by the Millennium Stadium in Cardiff between 2001 and 2007 when the old Wembley was demolished to make way for the new one, but otherwise has been held at Wembley since the end of the 1960s. Until 1997, a drawn final would be replayed at a neutral venue. In 1977 that resulted in the match between Aston Villa and Everton requiring two replays. From 2000 the final has taken place in February to March, meaning that the winners can have guaranteed silverware before the season is even completed. 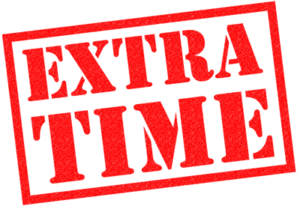 Extra time no longer takes place in any round, with the exception of the final. If a game ends in a draw after 90 minutes it will go straight to a penalty shoot-out. This rule has been brought in to reduce player fatigue in an increasingly congested season. It is also hoped it will encourage managers to out out better teams knowing the game cannot go beyond 9- minutes. The ABBA penalty system trail has also been scrapped and has reverted back to the conventional ABAB. All seeding has been abolished for the initial two rounds of the cup, although the first round is still organised regionally. Video assistance referees have also been authorised for any matches taking place at Premier League grounds. As with the FA Cup, and unlike the Champions League, the draw for the EFL Cup doesn’t protect or favour seeded teams. 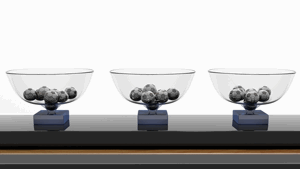 Each round is drawn randomly allowing any remaining team to face any other, home or away. In recent years has been held abroad, in 2017-18 this included Thailand and China and the initial draw for the 2018 competition was held in Vietnam. This is driven by the energy drink sponsor Carabao, which is a Thai company. Why does a draw for an English cup need to take place thousands of miles away I hear you ask, well as with most things in modern football it all comes down to money, fans as always are the last consideration. The draw courted some controversy in the 2017-18 season due to several errors. In the first round Charlton Athletic were drawn twice and many other teams shown in the wrong fixtures. The second round saw four matches announced with the wrong location and the third round was broadcast from Beijing at 4:15am British time. The fifth round shown live on twitter was delayed by over an hour for a technical hitch. The League Cup winners still receive a place in the following years Europa League, entering at the third qualifying round stage. England and France remain the only major UEFA countries to allocate a berth to the winner of the second tier trophy and this has significantly helped to retain interest in the competition. There have been many calls over the last decade to scrap the European place for the League Cup winners. In reality this would likely be a death nail for the competition that struggles more and more to compete for popularity with the likes of the Champions League. If the winners are also a Premier League club that have qualified for Europe then the place is added on to the league. Currently there are 4 Champions League and 1 Europa League place allocated to the top 5 of the Premier League. In this scenario the 6th place would receive a Europa League slot. If the winners of the FA Cup are also a team that have already qualified for Europe then the EFL cup place would go to the 7th placed Premier League club. 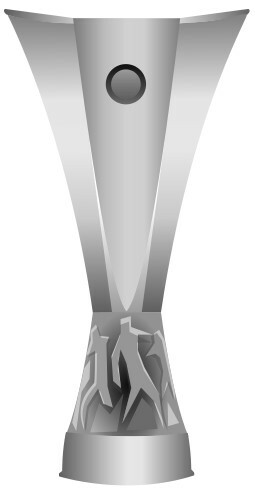 The Football League Cup is unique in English football on account of the fact that it has three handles, as opposed to the usual two. The trophy itself is in two parts, given that there’s a base for the trophy to stand on on then the actual cup. The base has a silver band around it, on which the name of the winner is engraved. The trophy that is presented today is the same one that was made in the 1960s, which is handy as it would cost more than twenty thousand pounds to make another one. Joe Richards, the aforementioned President of the Football League at the time that the competition was launched, paid for the trophy and had his name engraved on it. The inscription on the trophy reads ‘The EFL Cup Presented by the President J Richards Esq. J.P., Season 1960-61’. Mappin & Webb, the jewellery firm, designed and produced the silverware in a Georgian style. 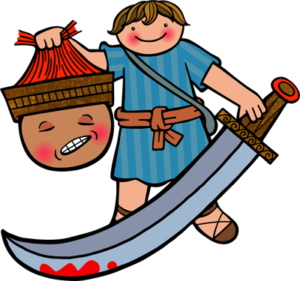 It weighs just over six-and-a-half pounds and it twenty-seven centimetres tall by twenty-point-five centimetres wide. Another unique aspect of the EFL Cup is that the prize money involved in the trophy only comes into play during its latter stages. In the FA Cup, for example, teams get money depending on how far they progress in the competition, whilst in the league they get additional funds depending on how high in the division they finish. When it comes to the League Cup, only the semi-finalists onwards get any money from the EFL, though it’s not a huge amount regardless. Both teams that leave at the semi-final stage of the tournament get £25,000, whilst the losing finalists receive £50,000. The winner of the trophy will get £100,000 in prize money. It’s also important to bear in mind that clubs get money from TV companies and from gate receipts. The money earned from ticket sales is split 45% to each team, unlike with league matches when almost all of the money goes to the host team. When you consider that there are just three domestic trophies available for teams to win in England, it’s actually remarkable that one of them is considered by many supporters to be akin to a waste of time. Founded in 1960 as the Football League Cup, the EFL Cup has been referred to as ‘The Mickey Mouse Cup’ in years gone by, such is the lack of respect offered to it by certain football fans. There’s little question that that’s mostly a matter of rivalry, however, considering that players and managers often take it seriously. As it is the first one awarded in a season, it is seen by some as being a springboard from which to launch future success. It’s entirely fair to point out that it will never hold the prestige of the Premier League, nor does it have the history of the FA Cup. Yet is it fair that some so readily dismiss it every season? Does the competition’s past tell us something about why it’s so disrespected or, alternatively, why it should be looked on more favourably? How does it work? Which teams are eligible to play in it? Has it changed much over the years? They’re the sort of questions that you need to answer in order to have a more rounded impression of the competition’s place in the pecking order, so they’re the questions we’ll attempt to answer here. In order to understand the EFL Cup in the context of the other major trophies on offer, make sure that you check our our pieces on the FA Cup, Premier League and Football League in general. 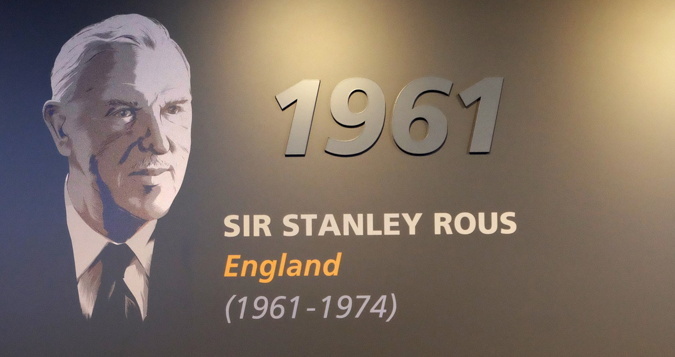 Between 1934 and 1962 a man named Stanley Rous was the Secretary of the Football Association. It was he who first mooted the idea of a competition for the teams that were knocked out of the FA Cup early. 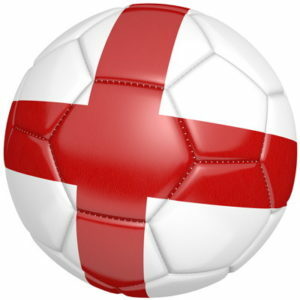 It was a solid idea and, to an extent, might help to explain why the competition had the reputation of a second-class tournament to the FA Cup from the word ‘go’. Interestingly, it might have been Rous’s idea in the first place but he wasn’t the man to put it into action. That was the work of the Secretary of the Football League, Alan Hardaker. The reason that Hardaker felt a cup competition would be a good idea was that the Football League was considering a major restructuring. Such was the work that was being considered in changing the way that the domestic divisions were structured that teams would end up not playing matches and miss out on the associated revenue. Hardaker realised that a cup competition would allow teams in the Football League to play matches during the restructuring process and therefore not miss out on any money. In the end, of course, there was no major restructuring, yet the decision to introduced a cup got the go-ahead of the Football League. In part, it was hoped that the new tournament would see attendances spring back up after a drop off in the preceding seasons. Compared to the previous season, for example, attendances had dropped by a million. 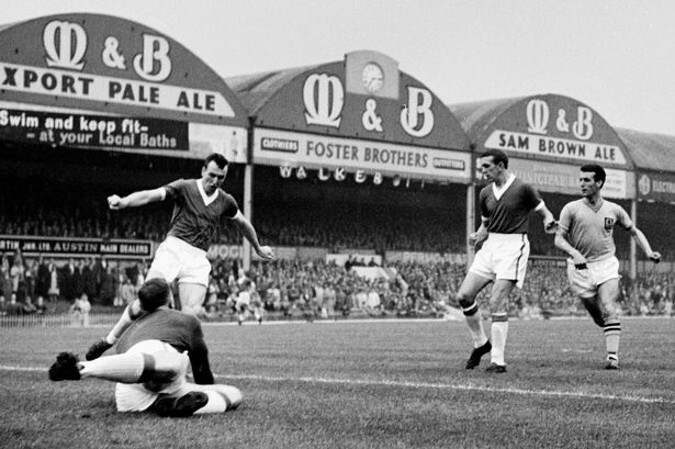 Clubs were also trying to think of ways of taking advantage of the introduction of the new floodlight technology that had been installed in most major grounds during the 1950s. 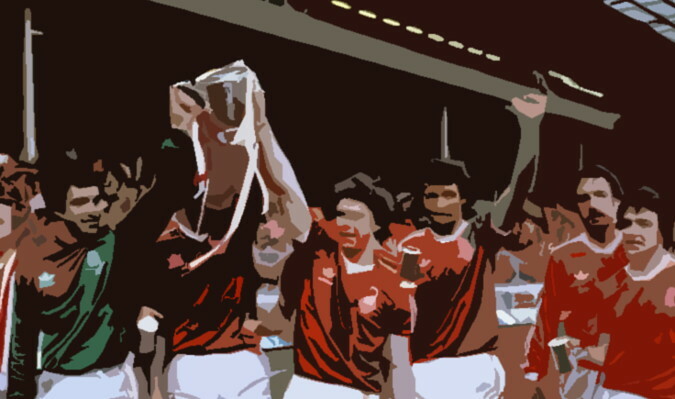 The League Cup took inspiration from the Southern Professional Floodlit Cup as a tournament that could be played during the midweek and at night. The League Cup was created at a time when the Football League and the Football Association were sharing some tensions. 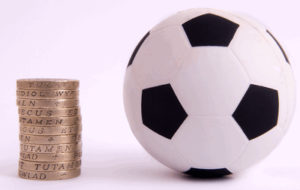 One of the biggest issues revolved around how clubs shared revenue – a topic that still has some resonance today. Meanwhile, the better clubs in the country weren’t overly impressed by the new competition and some big journalists agreed with them. The football correspondent of The Times, as an example, felt that the competition was small time. The European Cup had been formed five years before and there was a fear that some clubs would want to look at a European League as an alternative to domestic football. The President of the Football League, Joe Richards, was aware of the ‘continental fever’ gripping English clubs and wanted the Football League to be able to reestablish itself. When the competition’s establishment went to the vote, sixteen teams were against it and thirty-one were in favour. The hope that that the tournament would gain respect as the years went by was given immediate credence when it was won by Aston Villa in its inaugural season, with Villa considered to be the country’s most successful football club at the time. However, the next three outings of the tournament resulted in teams that had never won a trophy before lifting it, including a Norwich City side that hadn’t even played in the top-flight before. Whatever both Richards and Hardaker might have hoped, the top clubs still struggled to be particularly enthused by the League Cup even after it was up and running. The fact that it existed, though, meant that the Football League had a hand to play with the Football Association and UEFA during any negotiations. Hardaker informed UEFA that English clubs wouldn’t play in the UEFA Cup unless a European qualification place was given to the League Cup’s winner. UEFA agreed, though they did at the stipulation that the winner must be in the top-flight in order to take up the allocation. As a result, when QPR and Swindon Town won the League Cup in 1967 and 1969 respectively they couldn’t take the UEFA Cup place that came with it as they weren’t in the First Division. In 1967 the tournament’s final was moved to Wembley for the first time. This, combined with the newly added UEFA Cup place, meant that even the league’s biggest sides started to look on the competition with renewed respect. By the time the 1968-1969 version of the tournament came around, Manchester United were the only one of the so-called ‘bigger’ sides that decided not to participate in it. In the 1970-1971 campaign, Everton had earned a place in the European Cup and so chose not to enter the League Cup that season so that they could concentrate on their continental exploits. As a result of the two teams snubbing the competition the Football League decided to make participation compulsory for clubs that came under its jurisdiction from the 1971-1972 season onwards. 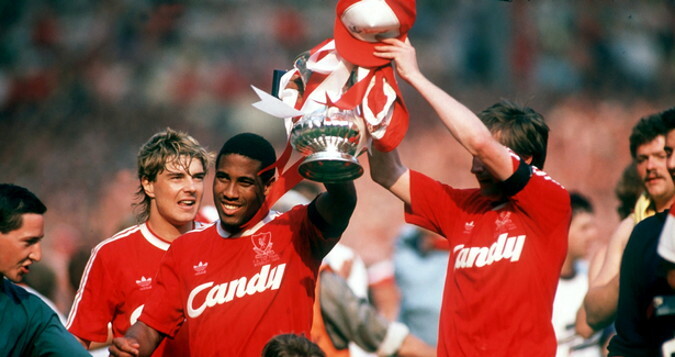 In the 1980s, Liverpool were the dominant league in England. They’d already won the league a number of times in the 1960s and 1970s but they’d only reached the League Cup final once, losing to Nottingham Forest in 1978. Once they won it, though, it seemed as though they couldn’t stop. They defeated West Ham United 2-1 in 1981 and then defeated the Hammers’ fellow Londoners Tottenham Hotspur 3-1 the year after. It was fierce rivals Manchester United who they had to get the better of in 1983 and did so with a 2-1 victory. As with the Spurs match, they’d needed extra-time to get the result. In 1984 it was an all-Merseyside affair as Liverpool took on their city rivals Everton. As with the game against West Ham United, the match went to a replay but Liverpool emerged as 1-0 winners. In 1985 Liverpool played Juventus in a European Cup final in the Heysel Stadium. It was a ground that was ill-equipped to deal with a match of that magnitude and the venue was quite literally crumbling. Some Liverpool supporters in an end of the venue that was supposed to be neutral charged at Juventus fans, with part of the stadium’s wall collapsing as a result. Thirty-nine people died by asphyxiation that day, resulting in English clubs being banned from European competition for an indefinite period. Norwich City, who had won the League Cup in 1985 and should’ve taken part in the UEFA Cup the following season, were denied their opportunity to play in the competition. The same was true for Oxford United, Arsenal, Luton Town and Nottingham Forest, who won the next four League Cups. Carabao Cup Carabao Energy Drink 2017 – ? As we’re discussing the tournament’s history, it’s worth giving a quick mention to the name changes that it has endured over the years. Having started life as the Football League Cup, it took on sponsorship from the Milk Board in 1981 and was known as the Milk Cup until 1986. At that point the sponsorship was taken over by Littlewoods and so it became the Littlewoods Challenge Cup until 1990. From 1990 until 1992 it was the Rumbelows Cup, then between 1992 and 1998 it was the Coca-Cola Cup. As is often the case with a tournament that has had a main sponsorship that lent it a name, you can often tell someone’s age by what they refer to the EFL Cup as. Had their formative years been between 1998 and 2003, for example, then they might refer to it as the Worthington Cup. Likewise, if they mostly watched football from 2003 until 2012 then it might be the Carling Cup. Younger people might still know it as Capital One Cup, owing to the fact that the financial company sponsored it between 2012 and 2016. It had no main sponsor for the 2016-2017 season and so took on the name of the governing body, which by that point had changed from the Football League to the EFL. The most recent sponsor at the time of writing is the energy drink company Carabao, meaning it’s known as the Carabao Cup. As with any trophy of any worth, there are plenty of interesting facts around the history of the Carabao Cup. Though we’ll try to update these when possible, it’s always worth noting that such facts in a competition like this can change at virtually any point.